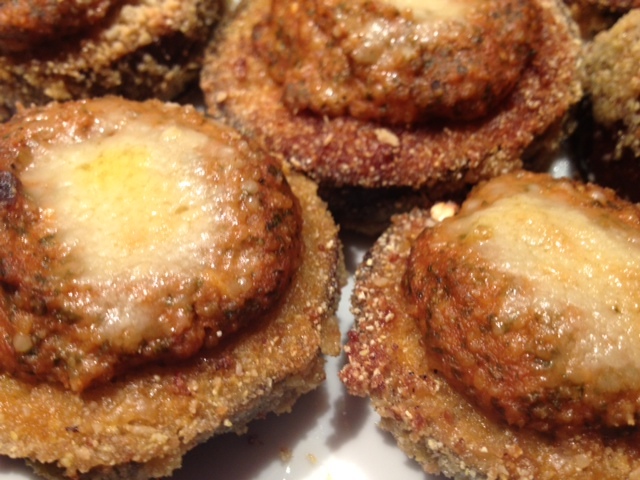 This is my twist on eggplant parmesan. 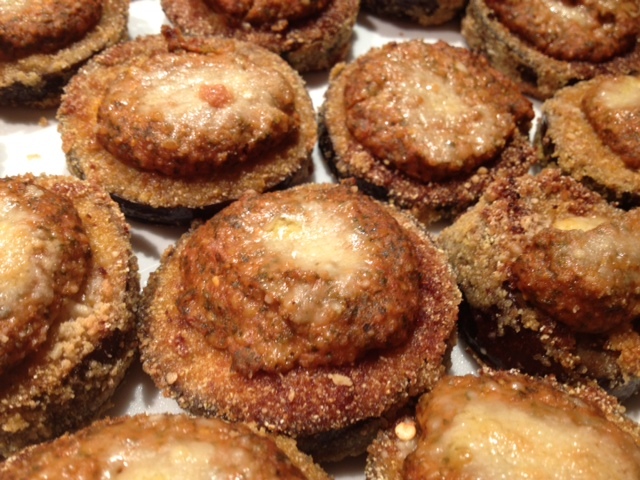 The tomato-basil sauce adds an extra burst of flavor to top the crispy eggplant bites. You could serve this as a side dish, main dish or even appetizer! 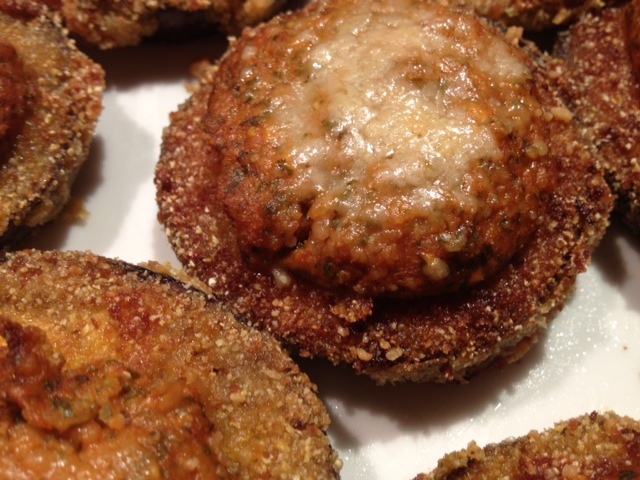 Keep in mind, the eggplant is lightly fried, so it is on the indulgent side. Try pairing it with a fresh green salad to balance it out. This eggplant is truly scrumptious! 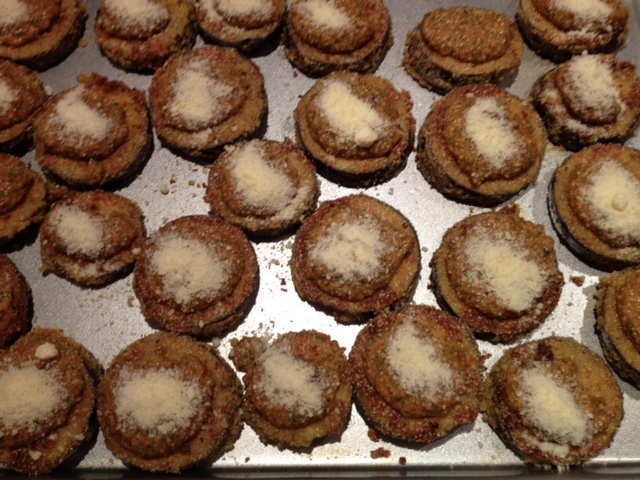 Begin by breading the sliced eggplant. 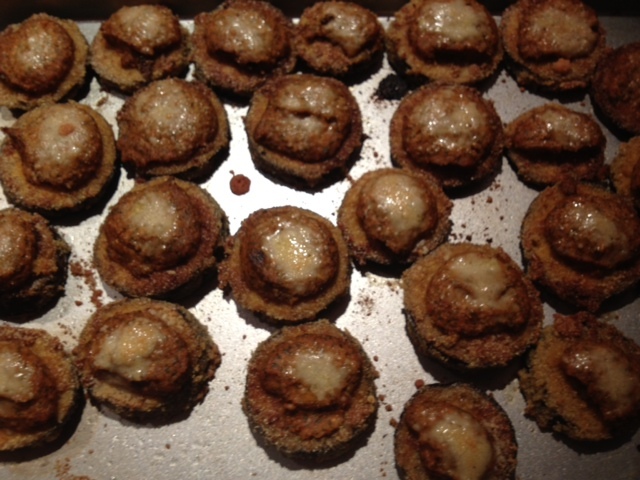 In a bowl, combine the corn meal and bread crumbs. In another bowl, add the eggs and whisk them. 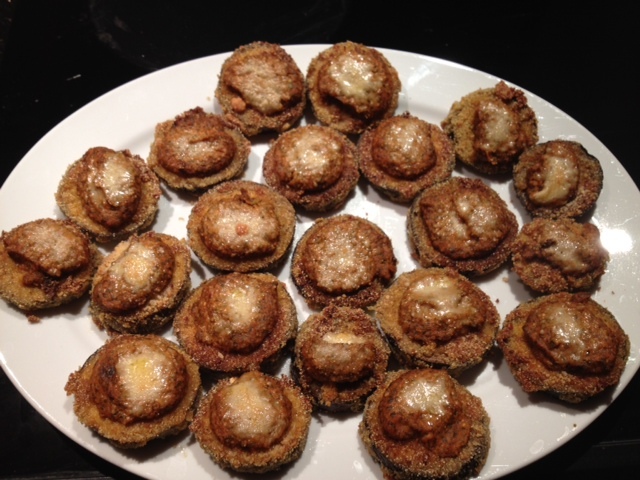 To bread, place the eggplant into the bowl with the eggs and coat, then put directly into the bowl with the bread crumbs/corn meal. 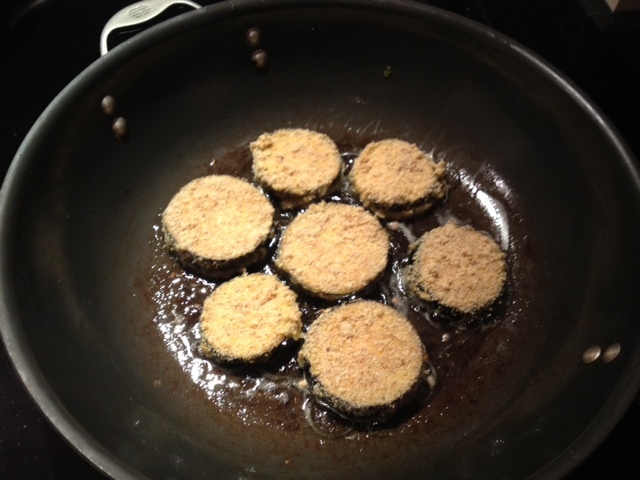 After all the eggplant has been breaded, heat 2-3 tbsp of olive oil in a large pan on medium-high heat. When the oil is heated, put in several slices of eggplant and cook on each side for about 2-3 minutes until lightly browned. 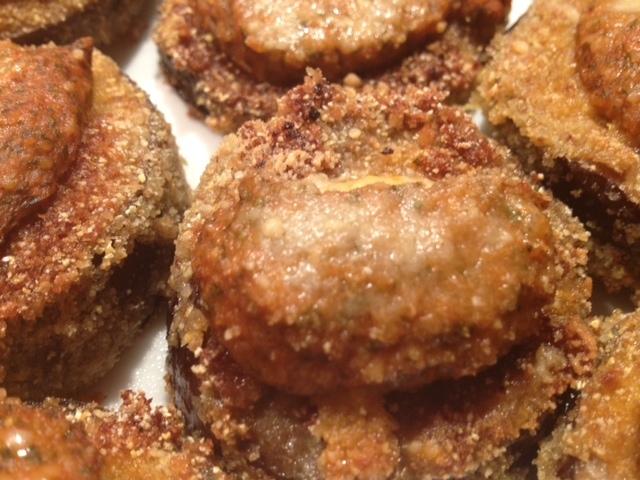 After you fry the eggplant, place the slices on paper towel to drain any excess oil. Repeat this process until all the eggplant has been fried. While the eggplant is resting on the paper towel, combine the tomato sauce, basil and 1/4 cup grated Parmesan cheese in the blender and blend until smooth to create the tomato-basil sauce. After you’ve completed the sauce, remove the slices from the paper towel and place them on a large non-stick baking sheet. Sprinkle garlic salt and red pepper flakes over the slices to season. Put a small spoonful of sauce on each slice of eggplant. Then put a small spoonful of Parmesan cheese on top of the sauce. Bake in a 400 degree oven for 20 minutes.